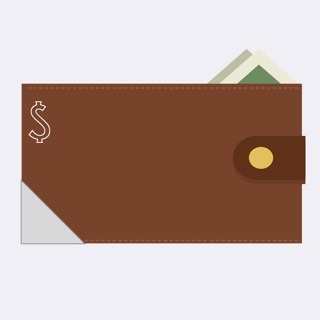 Manage your money like a boss with Slope, the most powerful expense tracker on the App Store. 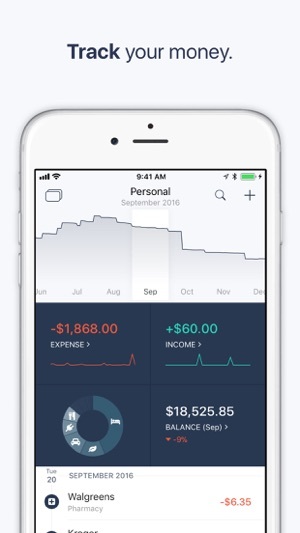 We designed Slope from the ground up to be unlike any financial app you’ve ever seen. With its user friendly interface, Slope gives you the power to see your entire financial history at your fingertips. Lightning fast transaction input allows you to input expenses on the go and reconcile with your bank statement later. Quickly enter transactions on the go with custom categories and tags. Enjoy complete control and organize things the way that makes sense to you. 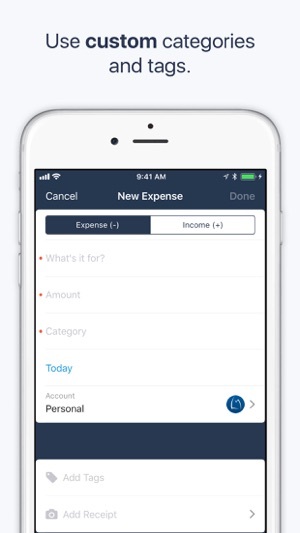 Streamlined autocomplete makes inputting expenses a breeze. 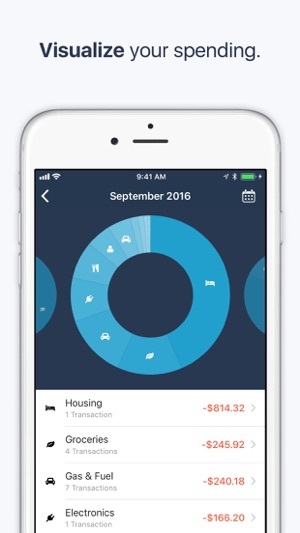 Interactive graphs make it easy to see the big picture and find out where your money is going. 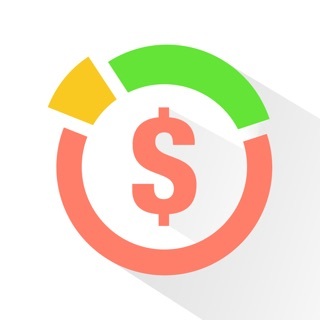 Breakdown your expenses by category, tag, or vendor and visualize how they vary over time. 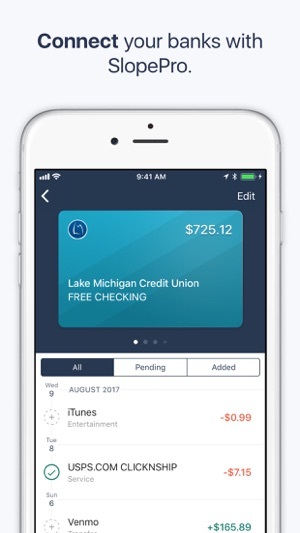 Upgrade to SlopePro for the ability to securely connect your bank accounts and see all of your balances in one place. Easily reconcile transactions from your bank with ones you’ve entered previously. Change the title or category on downloaded transactions and Slope will remember the changes for the future. With apps for iPhone, iPad, and Watch, all of your data is kept perfectly in sync automatically. Since your data is securely stored in iCloud, there is no account or signup required. Your data remains private to you. 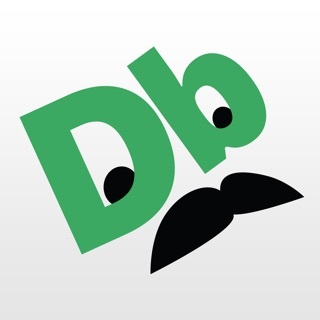 - Separate personal and business expenses with multiple account support. Slope is free to download and use. There is a paid upgrade to SlopePro that costs $3.99 for 3 months or $14.99 for 12 months. The subscription will NOT auto renew. One month free trial is available. SlopePro allows you connect up to three bank accounts. For unlimited connected accounts, upgrade to SlopePro+ for $14.99 for 3 months or $49.99 for 12 months. 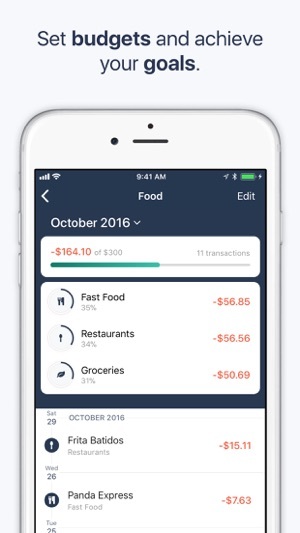 Honestly the best budgeting app i’ve ever used but i think it would be effective to add a transfer setting instead of having to subtract from on account and add to another. Would be a bit more convenient when transferring from checking to savings and vice versa but other than that I have no complaints. Very easy to use. 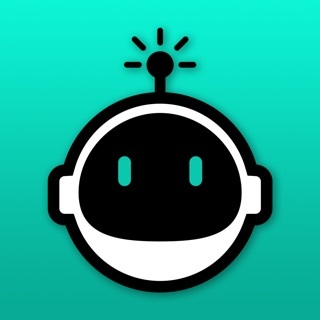 Great app! This app is well designed but missing one feature that prevents me from using it daily. 1. A big picture view that aggregates across all accounts. 2. Segments that aggregate across account type e.g. all checking accounts, all loans, all investment accounts, all credit card accounts. I currently use Principal for this but would happily move away from Principal to Slope if it supported this use case. Thanks for the review, we really appreciate the feedback! Your ideas are very interesting and we'll definitely look into adding the ability to review trends across all your accounts at once. Regarding authentication, you actually can enable passcode/TouchID unlock if you go to Settings -> Passcode & Touch ID in Slope.